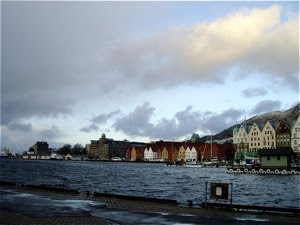 Bergen has a large number of hotels at any price range. I have stayed in different hotels and paid from €50 to €200. 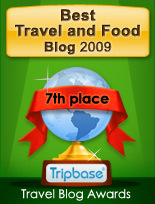 This time I stayed in one prestigious and expensive hotel and in one tourist class hotel. I also discovered that price does not necessarily mean high standard and good service, and you may save much by ordering via a hotel reservation site rather than directly. These are the hotels I stayed in during my 4 days in Bergen. Located a stone’s throw away from Torgallmenningen, Bergen’s main square. This small tourist class hotel had experienced a full makeover, and for a mere 100 Euros a night it provided good value for money. 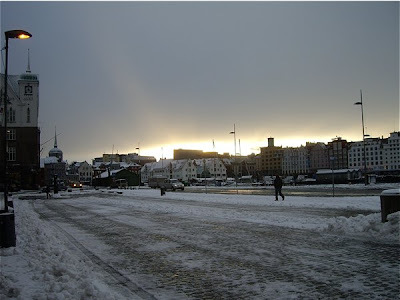 Bergen is a great place to enjoy good seafood and game. The cool North Sea provides good seafood and fish in abundance and venison, deer and reindeer roam the forests and mountains near by. Here you may purchase organic cheese and dried codfish to enjoy when you get back. I enjoyed all the high quality ingredients in the restaurants of taverns of the old city. The place to enjoy a Danish style open sandwich with a cold beer and a shot of akvavit. An informal café close to “Den Nasjonale Scene” Bergen’s theatre. We enjoyed a delicious cod wrapped in bacon. Yum! 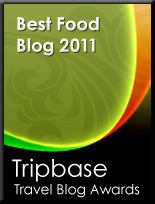 A gourmet restaurant revisited. 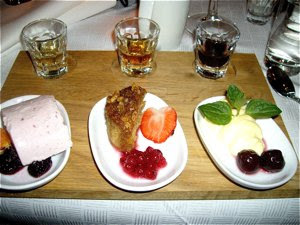 Located in the charming Nordnes area, specializing in a nouvelle Norwegian cuisine. Bergen is, in my opinion, the only truly Medieval city in Norway. Even though few buildings from this era are still standing, it has a truly ancient character. The 300 year old Bryggen reflects an architecture that is far older. 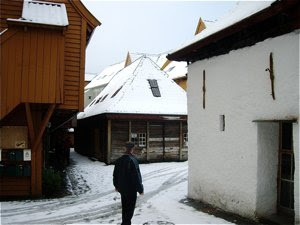 You may explore the narrowest of streets and visit one of the ancient churches that are still standing as monuments from Bergens great past. An old city house built 1561 as a residence for Erik Rosenkrantz, a Danish noble man representing the Danish king. An old keep of the old fortress built in the 16th century. Located on the southern tip of Nordnes. Definitely the place for both adults and kids. Do as we did, watch when they feed the penguins and seals - great fun! I can also recommend Skansen Pensjonat, located close to Fløibanen, as a moderately priced and very cozy alternative.